The new and improved default OS for the Raspberry Pi isn’t just for hobbyist computer boards any longer. Thanks to an experimental version of the Linux-based software for PCs and Macs, you can use it to reinvigorate an old laptop and get a few more years out of an ageing machine. As we’ve explained before, there’s a lot to like about the Pixel (Pi Improved Xwindows Environment, Lightweight) OS. It looks great, comes with most of the applications you need, and isn’t very demanding on system resources—which means it runs well on the older hardware you’ve got lying around. To get started, you’ll need to get the Pixel ISO image, which you can download here, on to a DVD or USB stick. 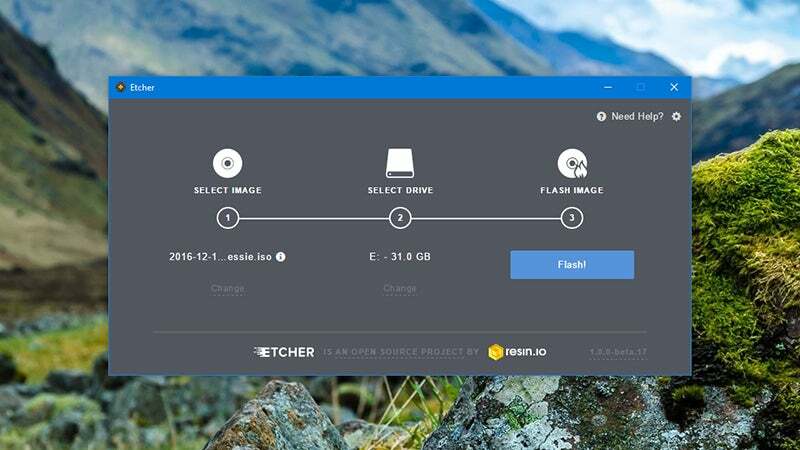 If you’re going for the latter option, Pixels creators recommend Etcher; for the former, you can use the tools built into Windows 10 (via the burn to disc option in File Explorer) or macOS (via Disk Utility). Etcher is a breeze to use. You select your ISO, select your USB drive, and click Flash. Remember the contents of your USB stick are going to be wiped along the way, so make sure there’s nothing on there before you start. 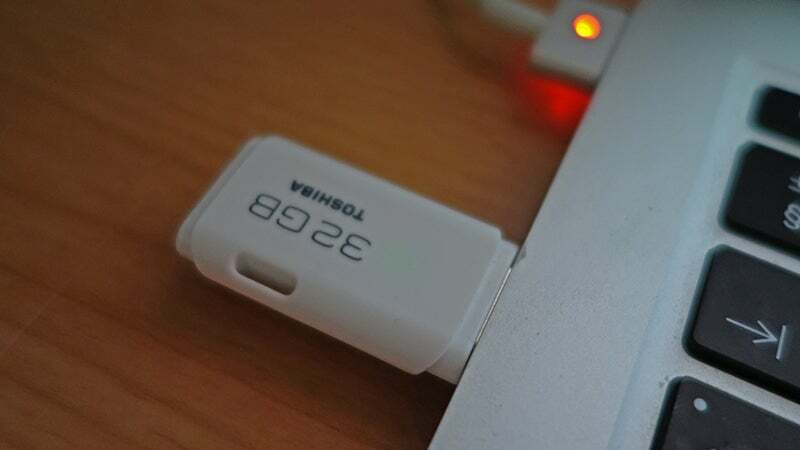 With your USB stick created, it’s simply a question of plugging it into a spare port on your old laptop, and away you go. If you’re not sure how to boot from a USB drive on your computer, a quick web search should help, but on Windows PCs you typically hit a function key such as F12 during start-up—there should be a message on screen. It’s the same process if you’ve burned a DVD. If you want to, you can make changes to the BIOS so the USB device or DVD drive is always booted from first, and again this is accessed through a function key shortcut during the initial boot (have a look on the web for instructions for your model of PC if you’re stuck). On Mac computers, just press and hold the Option key during start-up to see a list of bootable drives, then pick the newly flashed USB stick from the list (it was labelled “Windows” when we tested it but your mileage may vary—there are apparently still some bugs on Macs). Once you’re into the OS itself, it shouldn’t take you long to get up and running. 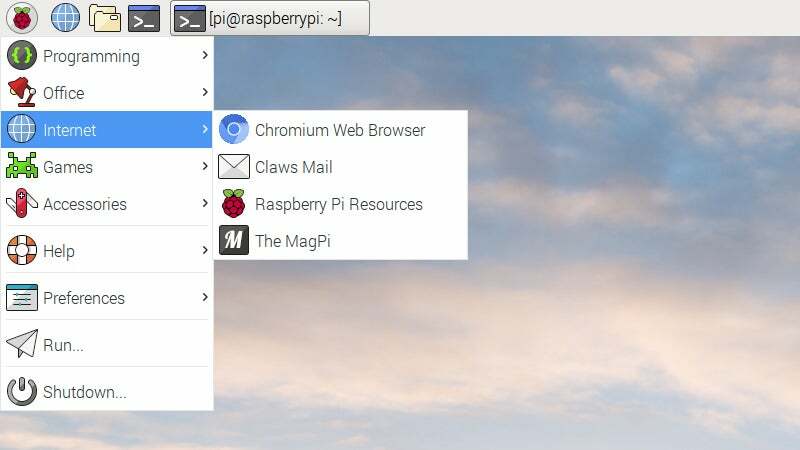 There’s a pre-installed version of Chromium as well as a full version of LibreOffice, and you can see what’s available via the Pi menu in the top left. Right now the Pixel OS can’t be installed on your laptop, only run from a USB stick or DVD, though this might change in the future. 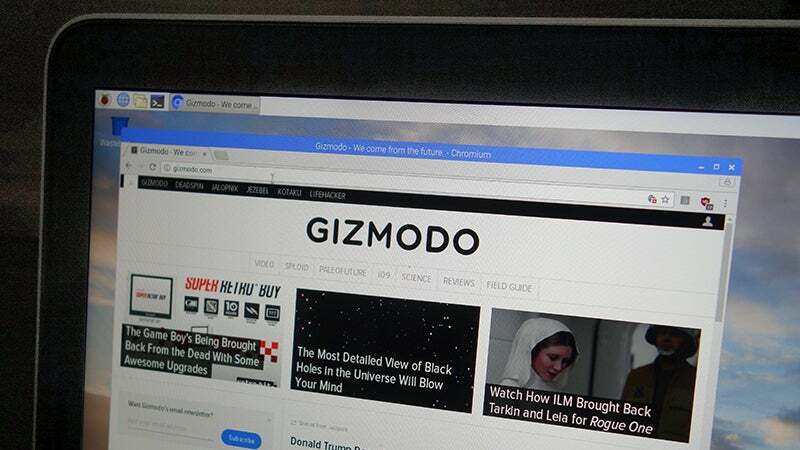 Of course it’s not the only option for running a lightweight, portable OS on an older laptop that’s showing signs of its age, but it’s one that’s quick and simple, and fun to use. For more help and for more details of the project check out the Raspberry Pi blog.